Winner of second prize in the 2018 National Press Club photo committee contest. 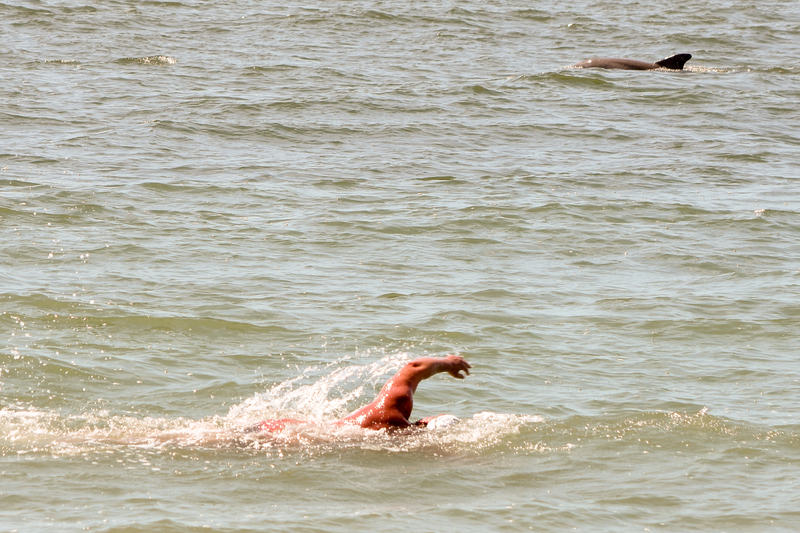 The image entered, shown above, was taken at Cape May, New Jersey in June 2018. ... And the 17th annual exhibit National Press Club photo exhibit, September 2016. Winner of second prize in the 2015 National Press Club photo committee contest. The image entered was taken on Memorial Day in 2010 at the Vietnam War Memorial in Washington, D.C. Honorable mention winner in the 2017 National Press Club photo committee contest. The image entered was taken at Gold Beach, one of the D-Day landingsites in Normandy, France. Shown are the remains of an artificial harbor built by the Allies after the landing. Most photos are available from SmugMug and Flickr.com, and carry a Creative Commons/Attribution license. In 2018, Alan Kotok became one of the National Press Club's volunteer photographers, covering news conferences and other events. Shown: Gov. 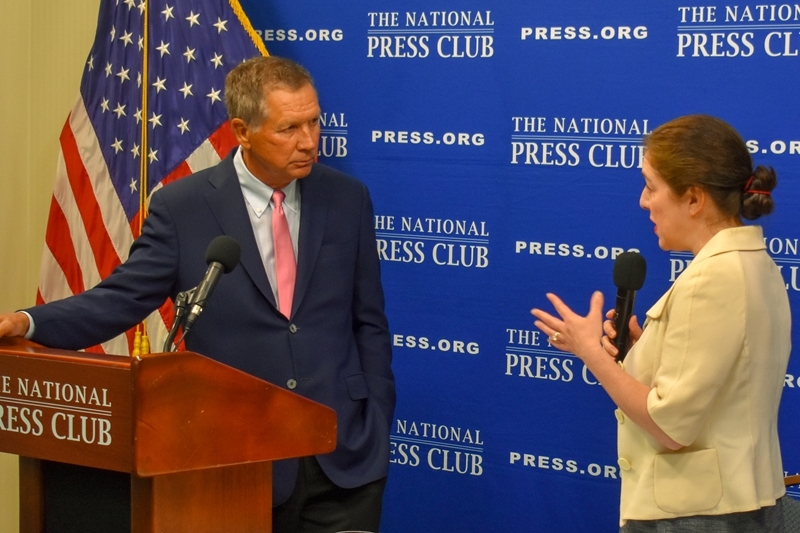 John Kasich of Ohio and National Press Club president Andrea Edney, 12 July 2018. NPC Workshop: Campaign 2020 - How to follow the money, 18 March 2019. NPC Newsmaker with Senator Tammy Duckworth, 13 March 2019. NPC Sunshine Week 2019: Climate Data, 11 March 2019. NPC Book Rap: Jean Case - "Be Fearless", 27 February 2019. Jill Abramson book event, 14 February 2019. Headliners panel on cyber security, 17 December 2018. Historian Doris Kearns Goodwin, 5 November 2018. 2018 Book and Author Fair, 2 November 2018. Sean Parnell/Jake Tapper book event, 13 September 2018. Historian Gil Klein book event, 26 July 2018. Gov. John Kasich news conference, 12 July 2018. Harris Faulkner book event, 14 June 2018. Friends of National Zoo press conference, 1 May 2018. Ryan Holiday book event, 15 March 2018. Morning Notes, ArlNow.com, 5 October 2017 (Supervising street repairs). Securing an Image of Religious Tolerance Beyond Israel, Times of Israel, 29 June 2017. (Photo of Women of the Wall service at the Western Wall in Jerusalem in 2013). William Howard Taft by a Head, All-Star Puzzles, April 2017 (Photo of presidents race at Nationals Park used for an online jigsaw puzzle). Alan Alda's Crusade to Make Science Talk a Jargon-Free Zone, Scientific American Blogs, 5 April 2017 (Alan Alda at 2014 AAAS conference). Morning Notes, ArlNow.com, 24 March 2017 (Iconic EAT sign, Texas Jack's BBQ). The 10 Best Totally Free Things to do in Las Vegas, USA Today 10 Best, March 2017 (Flamingo wildlife habitat). Day Without Immigrants Protest, Washington, DC Patch, 16 February 2017 (Child with protest sign). Cannabis tourism, CheapFlights.com, 16 February 2017 (Boston harbor and skyline). Morning Notes, ArlNow.com, 3 February 2017 (Utility repair on N. 41st Street). All 31 NFL Stadiums, Ranked, Thrillist.com, 9 December 2016 (New Era Field, Orchard Park, New York). Copyright 2001 to 2019, Technology News and Literature. All rights reserved.